Macy’s is a whole lot more than just a place to shop. They regularly schedule free events that are open to the public. South Coast Plaza in Costa Mesa, California is huge. Macy’s actually has 3 separate stores – Men’s Store, Women’s Store and the Home Store, which is across the street. 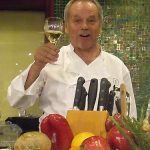 I’ve attended fashion shows and events in the Women’s Store and some fabulous cooking demonstrations from the Macy’s Culinary Council in the Macy’s Home Store. They are fun and informative and don’t feel at all like a sales pitch. 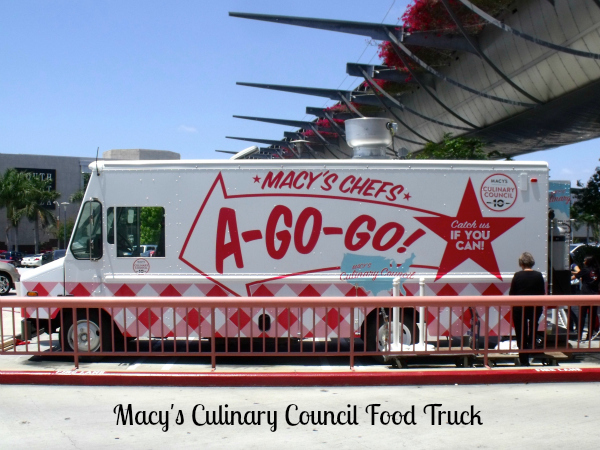 This weekend the Macy’s Chefs A-Go-Go Food Truck made a special appearance and offered free food to mall visitors. 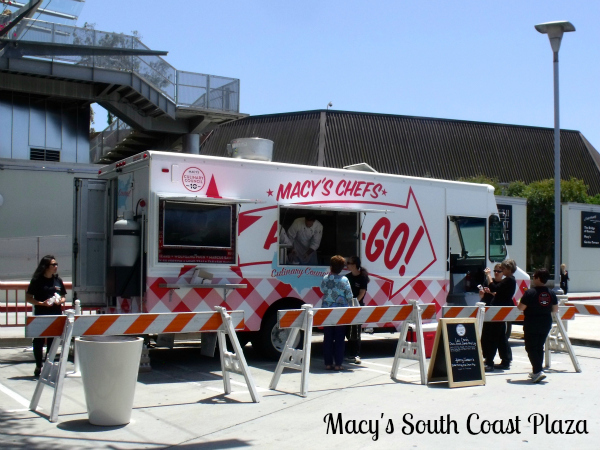 The food truck trend is definitely a good one! When I was growing up, food trucks were referred to as “roach coaches” and usually sold greasy meals and pre-packaged junk food. 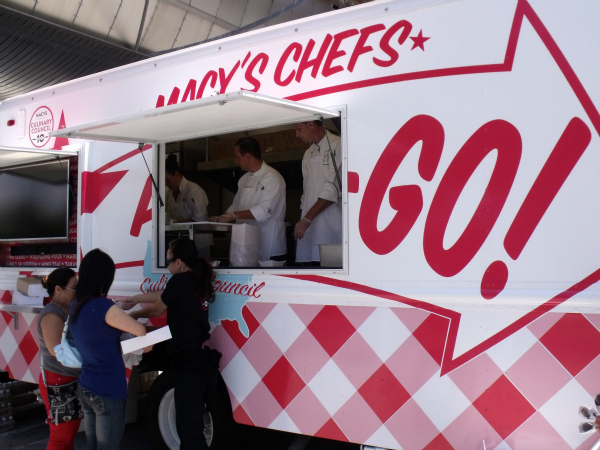 The Macy’s truck was definitely not like that. 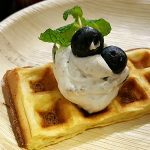 Instead, it was a wonderful gourmet experience. 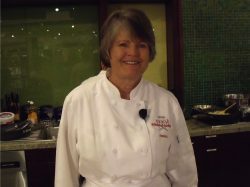 The main entree was from Chef Cat Cora. 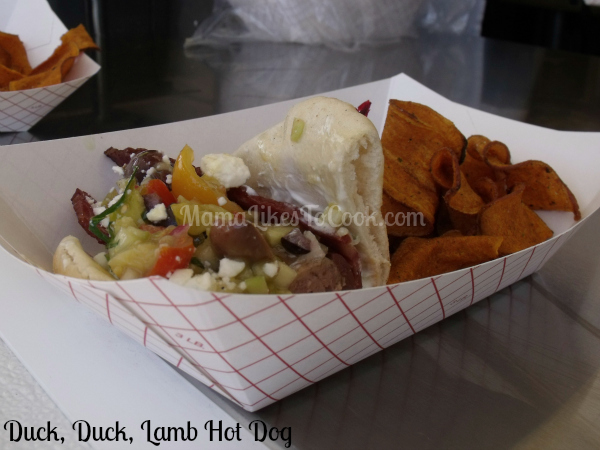 Her Duck, Duck, Lamb Hot Dog was a gourmet treat consisting of a lamb hot dog, duck bacon, Greek Salsa, Feta Cheese and a yogurt sauce served on pita bread. The visitors to the food truck were really enjoying it – even the small kids. I don’t eat meat, so skipped the hot dog. 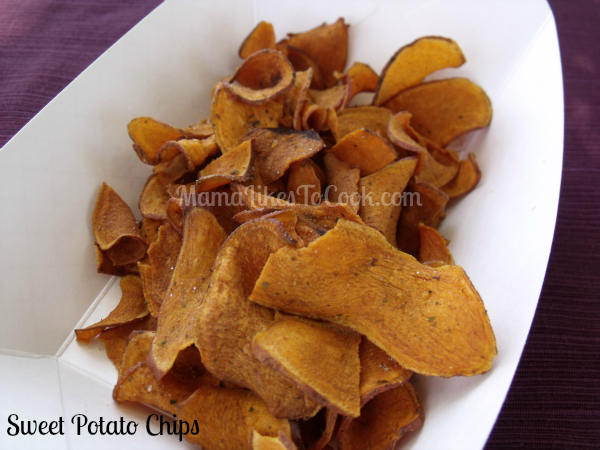 I did, however, thoroughly enjoy the sweet potato chips. They were thick, crunchy and a little bit salty. The dessert created by Chef Johnny Iuzzuni was fantastic! 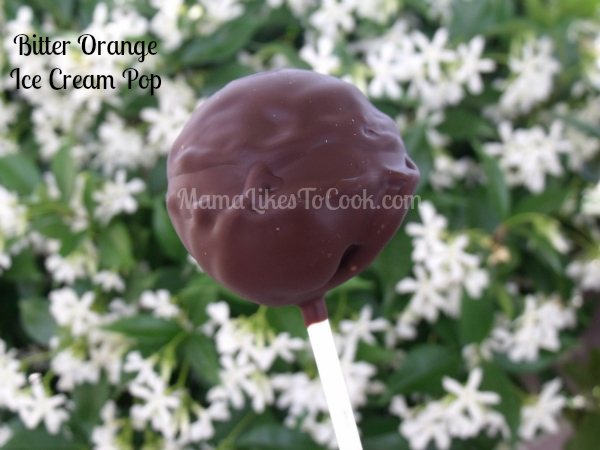 In the center of this chocolate dipped pop is a creamy bitter orange ice cream. The citrus and chocolate complement each other perfectly. The flavor reminded me of the orange flavored chocolates shaped like orange slices that I like to buy at Christmastime. This pop was delicious! 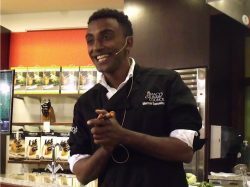 Macy’s South Coast Plaza has some other cooking events coming up next month. You can check the event schedule online to see what’s happening at your local Macy’s.